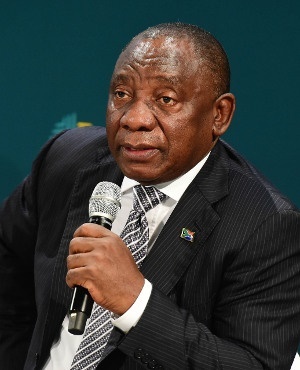 South African President Cyril Ramaphosa suffered the same false start as his predecessor nine years ago: a recession in his first six months in office. The economy unexpectedly contracted an annualised 0.7% in the second quarter from the previous three months, Stats SA said in a statement on Tuesday. That compares with a decline of 2.6% in the first quarter and is the first recession since 2009. The median estimate in a Bloomberg survey was for 0.6% expansion. The economy grew 0.4% from a year earlier. Slack farming output and soft consumer spending has put pressure on Africa’s most-industrialised economy. Ramaphosa’s ascent to power since December initially boosted sentiment and the rand following Zuma’s corruption-plagued tenure of almost nine years, but that optimism has faded as structural reforms aren’t implemented fast enough and global trade wars and turmoil in other emerging markets sour sentiment. The rand fell 2.3% to R15.2094/$ by 11:45 in Johannesburg on Tuesday. A contraction for the fourth quarter of 2016 was later revised to show growth, resulting in this being the first recession since the financial crisis of 2009. Agriculture declined the most, recording an annualised 29.2% contraction, mining production expanded 4.9% from the previous quarter, manufacturing shrank 0.3%, trade contracted 1.9%.